Who would have imagined, during the first act of Soupapalooza back in February, that the fourth act would come during a stretch of 70 degree weather and popping tulips? Never mind the weather, according to the calendar, it's still soup season. 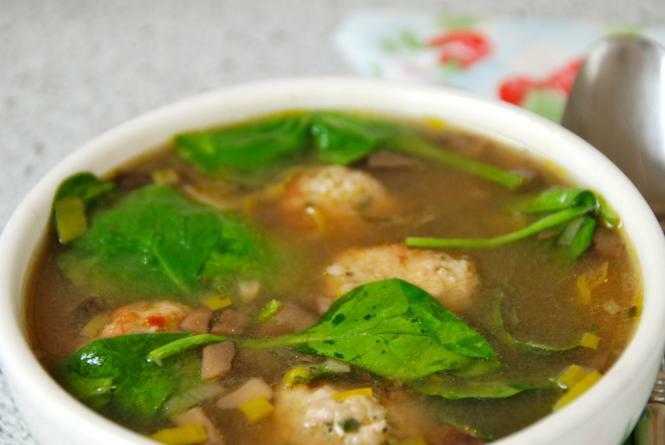 For week four of Soupapalooza, I bring you a light Spring Minestrone with Chicken Meatballs. I took many liberties with this recipe from Bon Appétit, but that's the beauty of soup - it pretty much begs you to take liberties. Have your way with me! it trills from the bottom of the pot. The chicken meatballs were tender and savory, bumping around like sweet little dumplings in the delicate broth. The spinach, chives, leeks and basil were meltingly soft, herbaceous and redolent of the greening that's happening outside my window. I added chopped mushrooms to the sautéing leeks and skipped the pasta. I think peas would be divine. This easy, light and nourishing soup is perfect sustenance for these heady days when we just want to sit on the front stoop and smell the earth as it wakes all around us with warm winds and grassy sighs. Mix chicken, breadcrumbs, 3 Tbsp. Parmesan, 2 minced garlic cloves, chives, egg, 3/4 tsp. salt, and 1/4 tsp. pepper in a medium bowl. Form into 1/2-inch-diameter meatballs. Heat oil in a small pot over medium heat. Cook meatballs until golden all over, about 3 minutes (they will finish cooking in soup). Transfer to a plate; set aside. Add leek and mushrooms to pot and cook, stirring often, until beginning to soften, about 3 minutes. Add 2 thinly sliced garlic cloves; cook for 1 minute. Add broth and 2 cups water; bring to a boil. Add carrots and simmer for 8-10 minutes. Add meatballs; simmer until carrots are tender, and meatballs are cooked through, about 3 minutes. Add spinach and remaining 3 Tbsp. Parmesan; stir until spinach is wilted and Parmesan is melted. Season with salt and pepper. 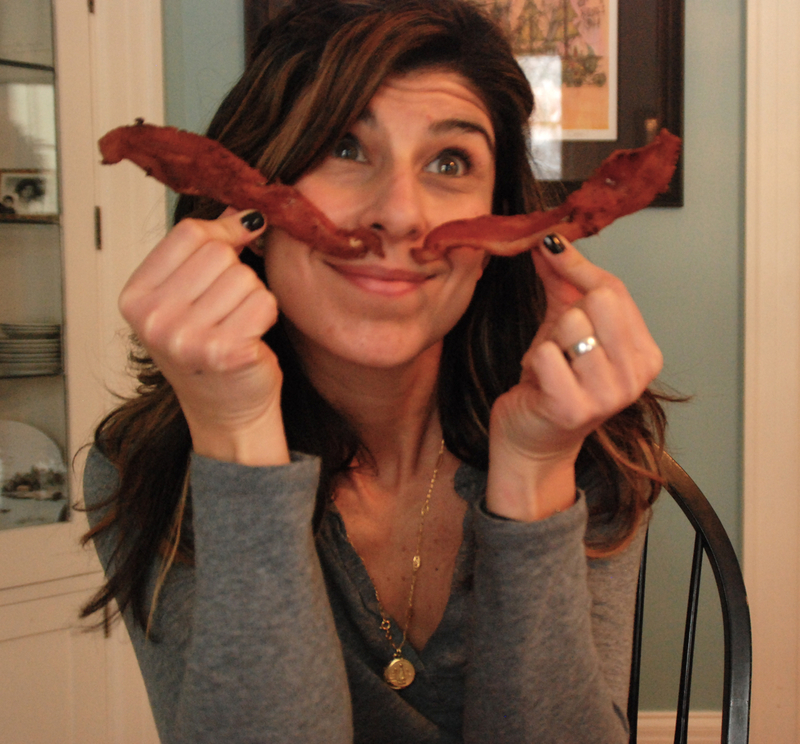 Gabriela Lambert is a frequent contributor to Simple, Good and Tasty. You can also read more of her writing on her blog www.peevishmama.com. Her last post for SGT was: Soupapalooza, Creamy Cauliflower Soup.